“G2E Asia’s new coverage of the financial aspects of cyber security directly responds to market needs, while providing financial technology and business solutions for the whole of gaming and the entertainment industry,” said Josephine Lee, chief operating officer of Reed Exhibitions Greater China, an organiser of the trade show and conference, in a prepared statement issued at a Tuesday press conference. “Financial Technology Asia” will be jointly organised by G2E Asia and a firm called Blockchain Labs Co Ltd. 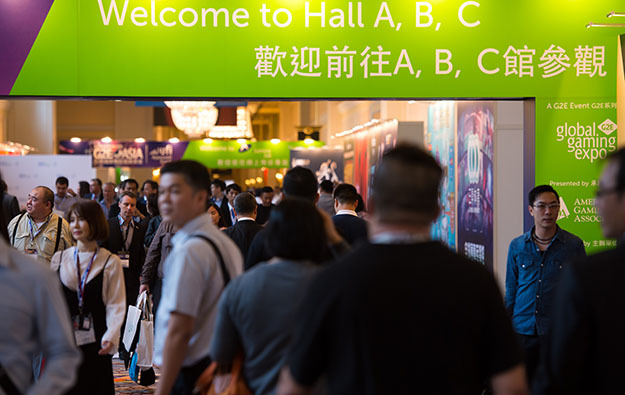 The 2019 edition of the trade show will be the 13th consecutive event, and will be held at the Venetian Macao from May 21 to May 23. Jack Liao, chief executive of Blockchain Labs, attended Tuesday’s media briefing. GGRAsia asked Mr Liao – and the senior Reed Exhibitions representative present at the press conference, Vera Ng, the show’s project director – whether the Macau government had been consulted about the inclusion of a fintech segment in the event, given the political sensitivities locally around blockchain and the technology of cryptocurrency, an element sometimes associated with blockchain. She added that 30 companies were currently slated to take part in the new segment, including ones working on cloud-based financial services and payments, as well as blockchain. The Monetary Authority of Macao issued in June 2014 – and reiterated in September 2017 – that cryptocurrency, a technology often associated with blockchain, was “neither a legal tender nor a financial instrument subject to supervision” of the Macau authorities. Blockchain offers a form of trade settlement and accounting that involves what is known as an open, distributed ledger said to be hard to hack, hard to counterfeit and hard to use for fraud. Some casino regulators are reportedly still studying blockchain’s potential in commercial gaming. There has been a pattern recently in Asia of blockchain-related businesses announcing some form of tie-up with bricks and mortar casino operators, and then either the link being disowned by the casino sector, or the blockchain or coin-issuing firm concerned, back-tracking on the topic. The latest edition of a rival event organised locally, the MGS Entertainment Show, did feature a presentation by Alphaslot, a Hong Kong-based firm, about potential applications in gaming of blockchain technology. On Tuesday Reed Exhibitions also gave an update on the commercial performance of the 2018 edition of G2E Asia. It said the aggregate of visitors had gone up 17.2 percent year-on-year, to 16,358; although it didn’t clarify if the latter number represented unique visitors. Exhibition space used in 2018 amounted to 33,000 square metres (355,200 sq feet), an increase of 27 percent on the year before.